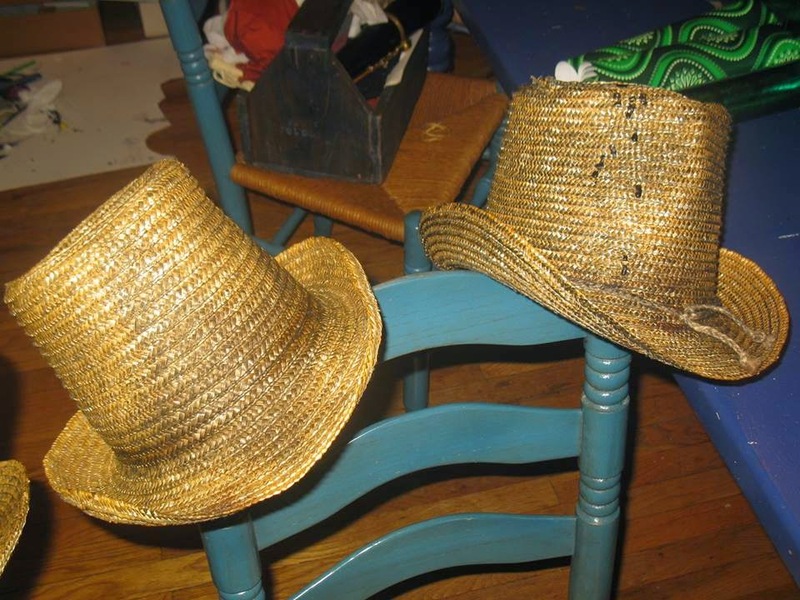 An easy step-by-step tutorial on how to shape your straw topper to look like the hat seen on the sailor in Atkinson's "Heaving the Lead". Step ONE- Purchase a hat, usually about $20-25. 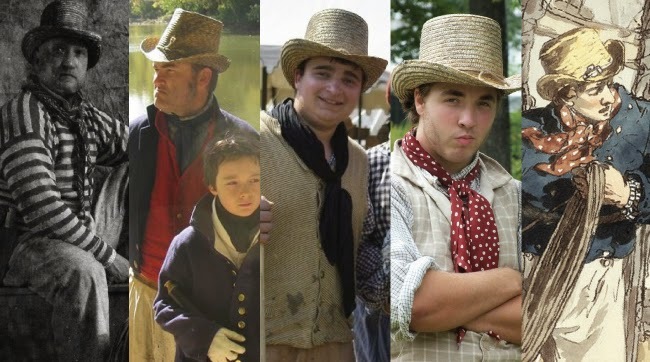 These hats are usually sold with a very flat brim. 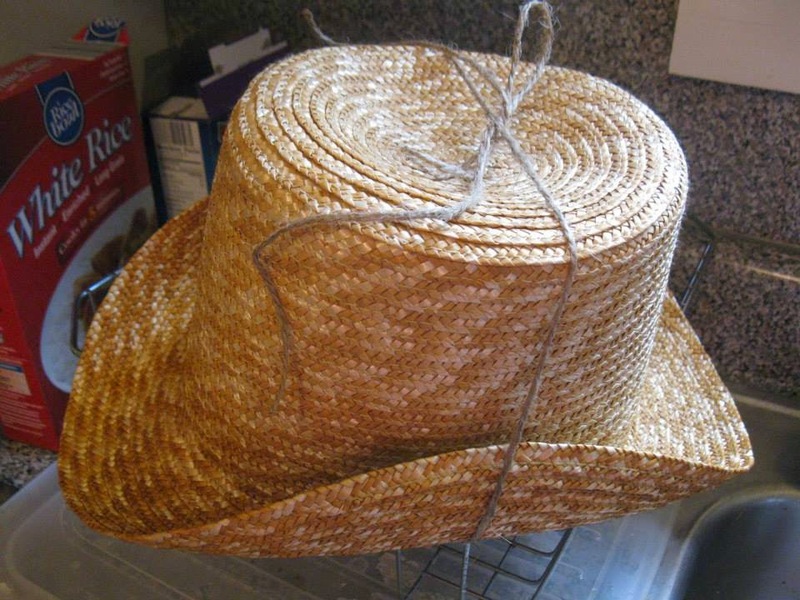 The straw topper is generally about 8+ inches tall with a 2-3 inch brim. I purchased mine from 96 District Fabrics, but you can find them all over. 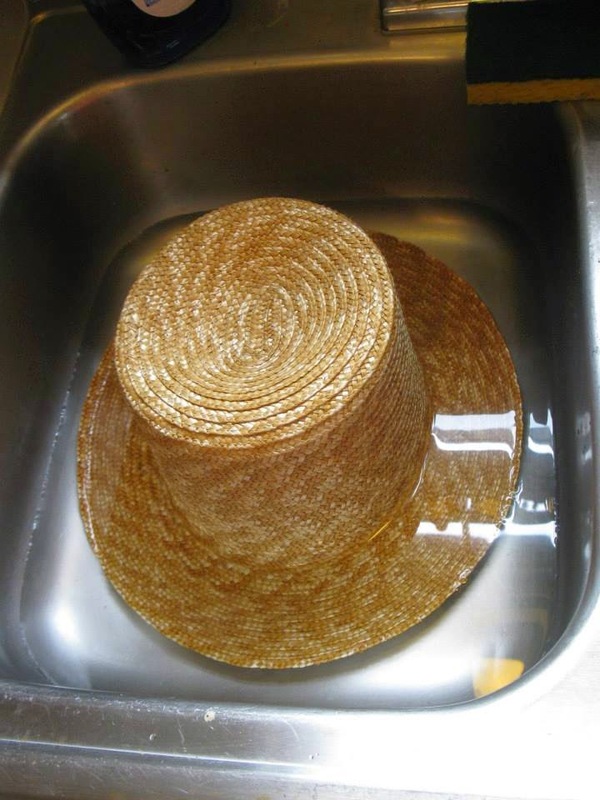 Step TWO- Fill the sink with just enough water to cover the brim of the hat and let it soak for 2-3 minutes. This makes the brim soft and easy to manipulate into the right shape. 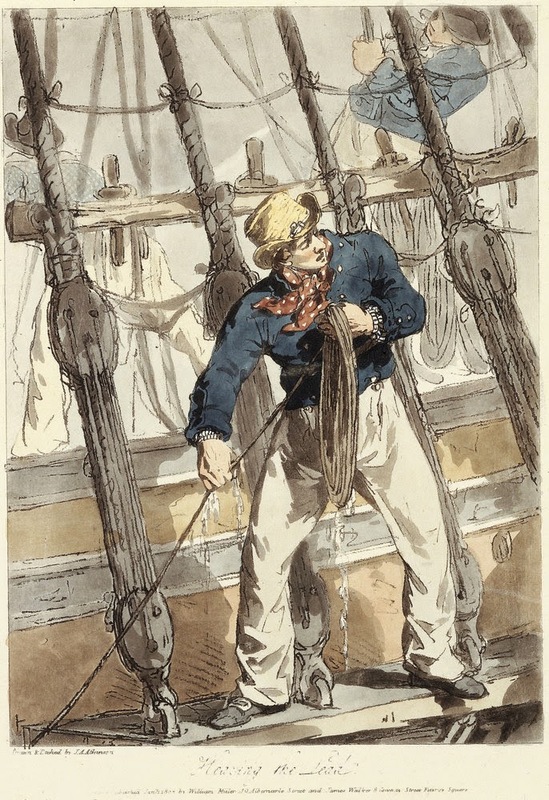 Step THREE- Remove from water and tie up the sides with string. 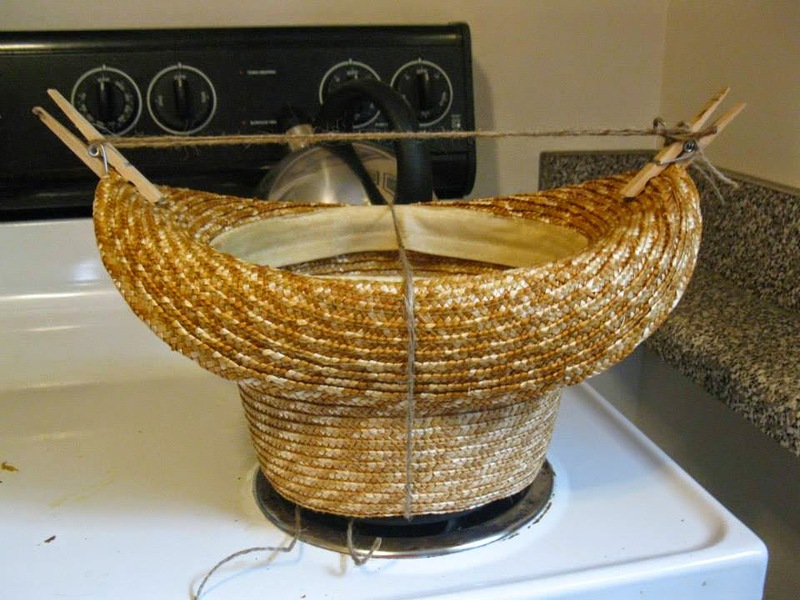 No tricks or special knots required, just run the string all the way around the hat and tie it up so the sides of the brim stay in the upright position. My suggestion is to keep them very close to the body of the hat itself. Step FIVE- (optional, but awesome) Make a light India Ink wash and lightly brush onto the exterior of the dry hat to add the appearance of age and use. Obviously the more layers of the gray wash you paint on, the older and more used the hat will appear. 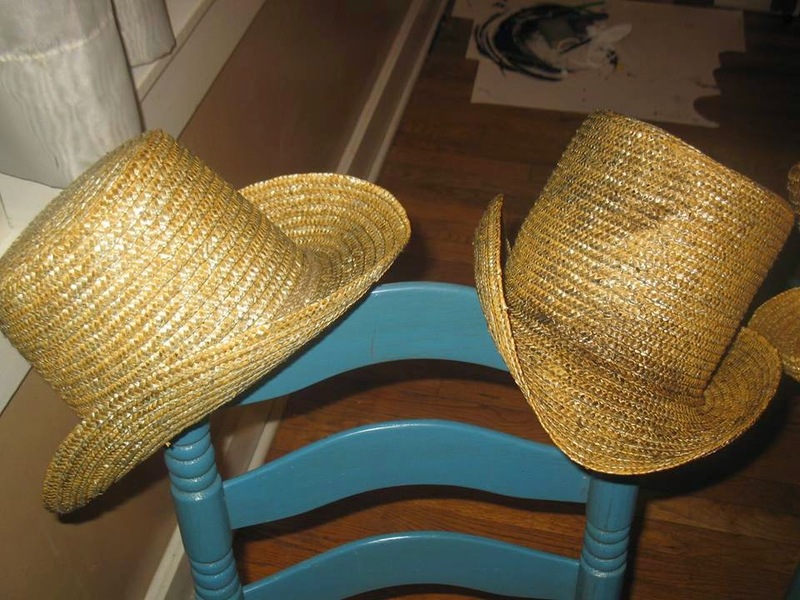 On the hats in the above images I even brushed on a little brown ink to simulate sweat stains. The amount of 'wear' and 'age' are up to you. Step SIX- Do your King and Country proud and wear your new hat with pride! If you follow this tutorial and make one of your own, let us know and send us a picture of you in your finished hat, we'd LOVE to see it! I did this recently and it turned out very nice. Thanks for the tutorial. I might add that since this first came out there have been some changes in availability. 96 no longer carries this hat. I found mine at Recency Revisited. It was sixty bucks unlined. I sewed a linen liner in it with a pigskin sweatband. I plan to add a hemp hat cord to finish it off.